in the palm of your hand. cup it in the hollow between life line and the lines of children. sometimes I check mine to see if my wife is pregnant again. pass it like a drug deal on a crowded subway platform and the train’s about to come. somewhere there is that urge to jump. the urge to hang for that second alone above the tracks. once looking down I saw a mouse zip between shadows. between garbage. how about that man who dropped something, leaned forward and slipped so easily? pass this note like a secret whispered while the teacher has her back turned and you’re dying to kiss the girl at the front of the class hoping the message can get through. lost in a smile. a flick of her hair. pass it still warm from your hand to the next like some strange bird passing her eggs from nest-to-nest till they hatch. 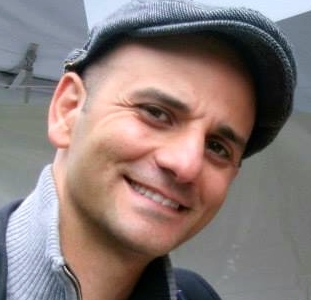 Toronto-based writer of fiction and poetry, Domenico Capilongo is also a high-school teacher and karate sensei. His first 3 books almost won several literary awards. Although he usually writes for adults, he is currently working on a children’s book about a boy that hates kissing old ladies.